LOUISVILLE, Colo., May 22, 2018 – Inovonics, an industry leader in high-performance wireless sensor networks, is proud to announce that the United States Patent and Trademark Office recently awarded Inovonics two design patents for its EN1221S-60 family of senior living pendants. Launched in September 2015, the EN1221S-60 pendant is 60% smaller and lighter than Inovonics’ previous pendant. Attractive and discreet, the pendant has a smooth shape and polished finish that makes it comfortable for continuous use. 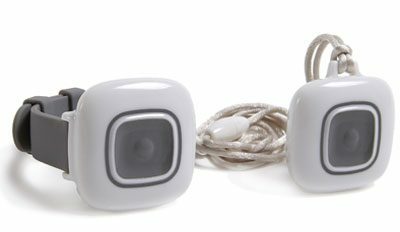 It is also waterproof, allowing residents to safely shower or bathe while wearing the pendant. The EN1221S-60 functions over the proven EchoStream® wireless network and is certified for use in UL 2560 listed emergency call systems marketed by Inovonics’ business partners.